It’s the start of a new year and that means many folks are making New Year’s resolutions to get fit and eat healthy. While being motivated to start leading a healthy lifestyle is great no matter what time of year, during winter months many people turn to gyms and fitness centers to start pursuing their goals. Signing up with a gym often means paperwork, membership fees, contracts and liability waivers. 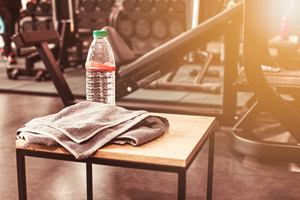 While gym staff make this process easy, fast and efficient, have you ever considered what’s on that liability waiver and what you’re agreeing to when you sign it? When you sign a liability waiver, you agree that you’re assuming the risk of injury by using the facility. These documents are created to make you aware of the risk involved while also attempting to remove legal liability from the facility. Waivers can range from totally relinquishing the facility of liability to being specific with clear outlines of what is expected from you when you sign. In some instances, total waiver of liability is overly broad and sometimes unenforceable. If you have signed one of these waivers and an accident occurs, it does not mean you have signed away your right to make a claim. It’s important to speak to personal injury lawyers. They can help you determine your rights. All liability waivers encompass negligence. It is to protect the facility in the instance of an injury or accident. Negligence has a wide range; for example, it includes improper use of fitness machines to slippery floors. Navigating the differences between negligence and gross negligence can be tricky, but there is one defining difference that sets them apart — gross negligence is a conscious and voluntary disregard for the safety of customers. Waivers coving negligence is standard, but if an accident occurs that can be proven to be gross negligence, the waiver does not have the scope to cover those instances. What Should I Do if I’m Injured and I Signed a Liability Waiver? If you are injured at the gym, you should contact a personal injury lawyer to help you navigate your liability waiver. At KBG Injury Law, we provide personal injury representation and more. For a free consultation, contact us here or call us at 717-848-3838.